Drexel Window Fashions© was first established in 1955 as Drexel Venetian Blind and Laundry in East St. Louis, Illinois by its founder, the late Jack S. McAllister. Our business began as a repair service for wood blinds and the cleaning of wood and metal blinds. In the early 60's, we expanded our operations by manufacturing both metal blinds and roller shades. Our earliest contracts were with local housing authorities in and around the St.Louis region in providing thousands of window shades for various government housing projects. In the early 70's, the business culture changed for the fabrication of draperies and pleated shades. We evolved and made the decision to concentrate our efforts toward the new trends of the day, then becoming Drexel House of Drapes. In 1985 the owner's son, Jack W. McAllister, incorporated the business and became company president. 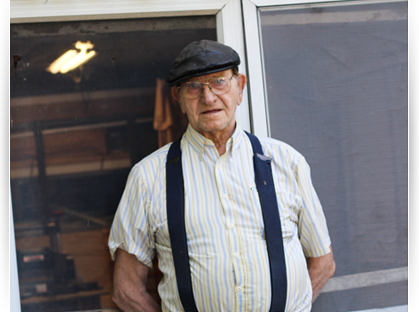 Jack is still the owner and installation manager of the company today. In 2002, the company added Travis Sroka as its lead installer for all commercial installations. Today the primary part of our business is providing window coverings to the general public. 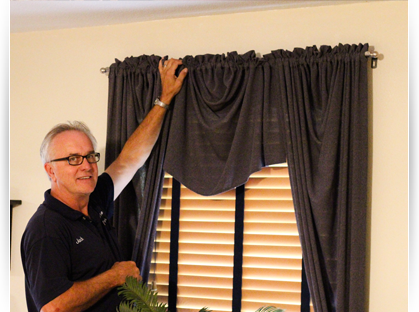 Not only do we sell new window treatments to our clients, but we have always been there to service and clean all products that we've sold as well as those bought from our competitors. This is a tradition that remains current today. Other dealers may look just to sell a product and are not there for you when that time comes time for something that's broke and needs to be fixed. At Drexel Window Fashions©, we're always there for you to ensure your satisfaction. We are also a full line dealer of the Graber and Bali™ brand of products as well as Hunter Douglas™, Levolor and Kirsch™. We are experienced to service and repair these popular brand labels as well. We have been proud members of the Carpenters Union for over 60 years now which has allowed us to provide window coverings to a variety of commercial buildings such as the SIU-Edwardsville and Southwestern Illinois College campuses.